Black Friday is well and truly upon us, and the deals aren’t going to get much better than this: you can now get the LG 4K HDR 65” TV for £999 at Amazon. That might sound like a lot but it’s actually over 55% off, saving you a whopping £1,200.99. Yeah, you read that right. That also makes it one of our best Black Friday 4K TV deals, and boy does it have some tough competition. 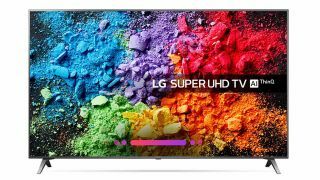 The LG is a Smart LED, meaning its colors are way above what you’ll get in an ordinary TV: our sister site TechRadar praised it for its rich blacks, impressive ThinQ AI features (this is a TV that works a bit like an Alexa), and stunning colors. Its nano cell display means that the picture quality really can’t be beaten, as each pixel is just one nanometre apart, which turns whatever is playing on the TV a vibrant array of uniform colours. Reviews on Amazon have praised its lightness, making it perfect for mounting on the wall without any fear of it falling off, so you can even check out the hot Black Friday gaming deals if you’re planning to use it to play the glorious Red Dead Redemption 2 on or Assassin’s Creed Odyssey. Its voice recognition software has also been noted as being very receptive, meaning you don’t have to faff around with the remote when you’re searching for videos on YouTube, instead letting you rely on the built-in microphone and just saying whatever you’re looking for out loud and getting the search results sharpish. Magic. Well, almost.